Opposition leader Rahul Gandhi’s Congress Party is trying to undercut Modi’s appeal by promising Rs 72,000 ($1,038) a year to each of the country’s 50 million poorest families. The plan has a distinct resemblance to the $1,000-a-month universal basic income that businessman Yang, seeking a 2020 Democratic presidential nomination, has proposed for every American adult. Modi’s Bharatiya Janata Party has criticized the opposition for promoting policies it says will raise the tax burden on the middle class. In its own manifesto, the BJP pledged to cut taxes for middle-income families while promising a more modest Rs 6,000 a year cash transfer to all farmers. The Congress Party’s income supplement would cost 2 per cent of current GDP, once it ramps up. 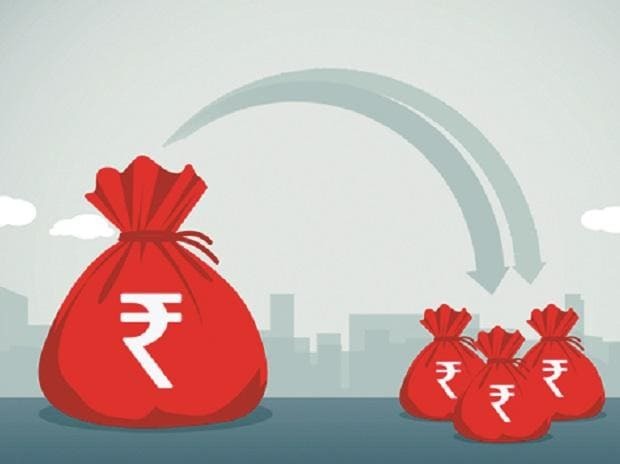 By then, sustained double-digit nominal GDP expansion will have lowered the program’s cost to no more than 1.2 per cent to 1.5 per cent of GDP, according to the party's head of data analytics. However, if the extra purchasing power pushes up prices more than output, then politicians will almost certainly come under pressure to lift that initial $1,000 a year payment. Even assuming that the government recouped some of the cost by taxing increased sales of goods and services and higher corporate profit, it would have to curb other subsidies and expenditure. Borrowing more isn’t an option for India. Without a surge in household financial savings, which have ranged between 9 per cent and 11 per cent of GDP in recent years, having a public sector that eats up more than 8 per cent of GDP would place a very heavy burden on the private sector. The long slide in workers’ bargaining power in the West, and a decline in their share of national income, is well documented. Something similar has occurred in India too. Between 1981 and 1991, when the country was still sitting behind high barriers to foreign trade and investment, 32 per cent of the economy’s value added went to labour as compensation, according to an International Labor Organization working paper. Creditors claimed 27 per cent as interest, and less than 21 per cent accrued to shareholders as profit. However, in the 1990s, New Delhi began to slash import duties and relax license restrictions. The price of imported machines dropped. Workers were still cheap, but as globalization gathered pace, they became three to four times more expensive to hire relative to capital goods in 2010 than they were in 2000, according to University of Manchester economist Kunal Sen. This discouraged labour-heavy businesses and encouraged more capital-intensive enterprises. Between 2001 and 2013, labour’s share of India’s value-added dropped to 23 per cent, lenders’ take fell to 12 per cent, and profit’s share zoomed to almost 50 per cent.